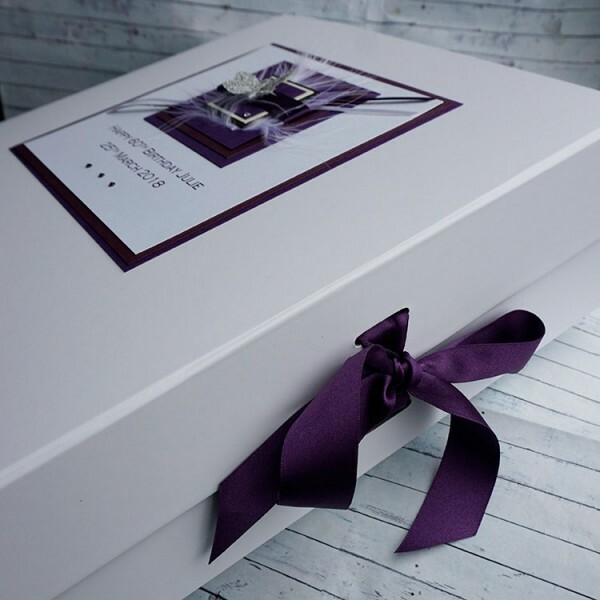 This beautiful keepsake box is a perfect gift for a special birthday, from 18th, 21st, 30th, 40th etc for a Mum, Sister, Daughter, Gran or friend. This box matches our handmade birthday card. Personalised keepsake boxes are available to match any of the other greetings card designs shown in our handmade card gallery. 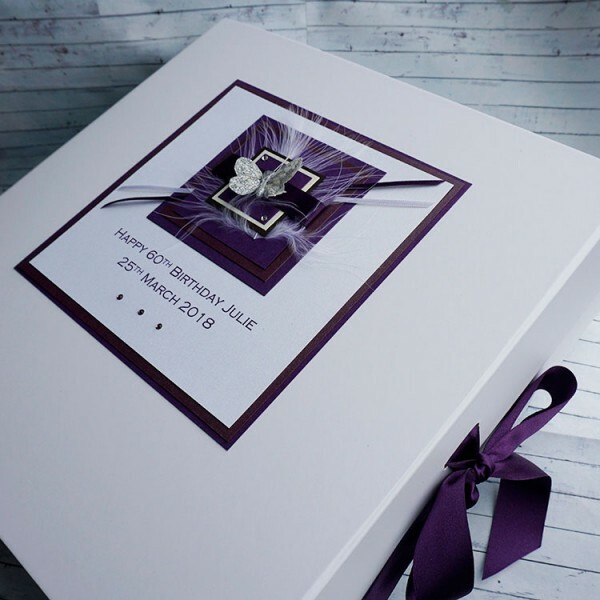 Each box is made from rigid board with a matt finish paper and tied with beautiful satin ribbons.